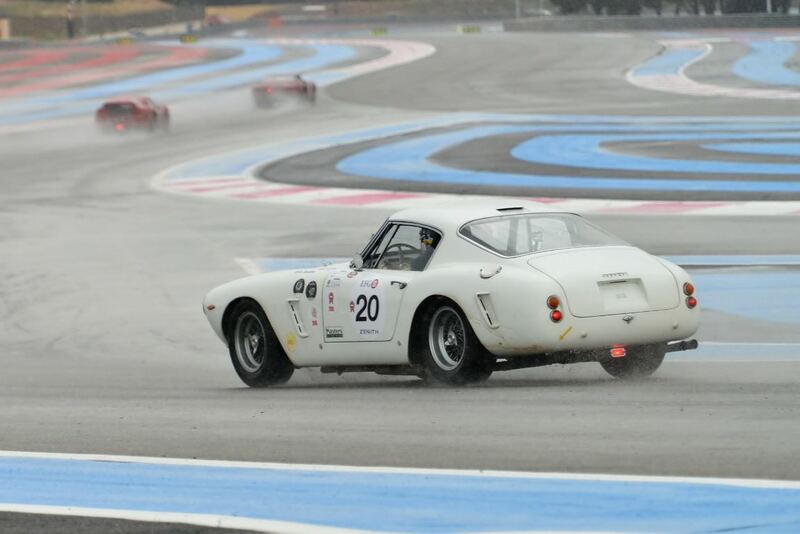 The Dix Mille Tours du Castellet 2015 was held 2-4 October at Circuit Paul Ricard in Le Castellet, France. 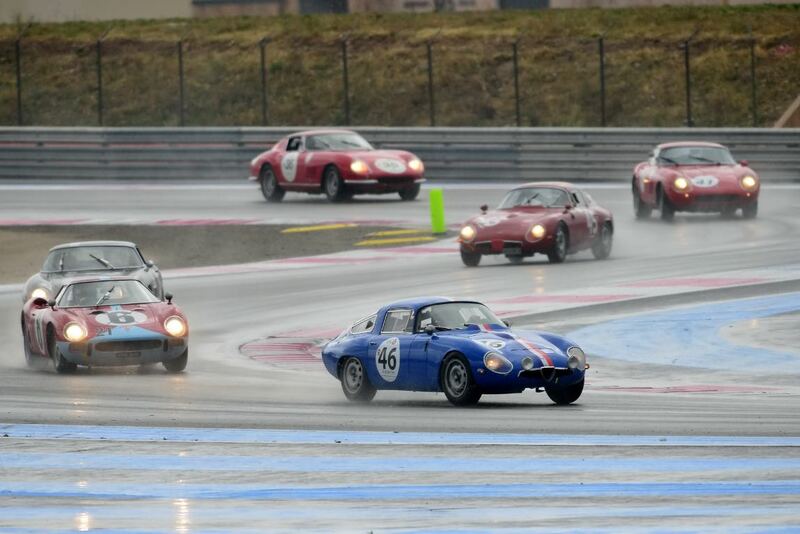 Despite uncertain weather, 10,000 spectators shared their common passion at the 6th annual historic car racing event that featured seven grids composed of more than 280 cars. On Sunday the sky cleared and the weather was fine, but on Friday and Saturday it had a few surprises in store for the drivers. 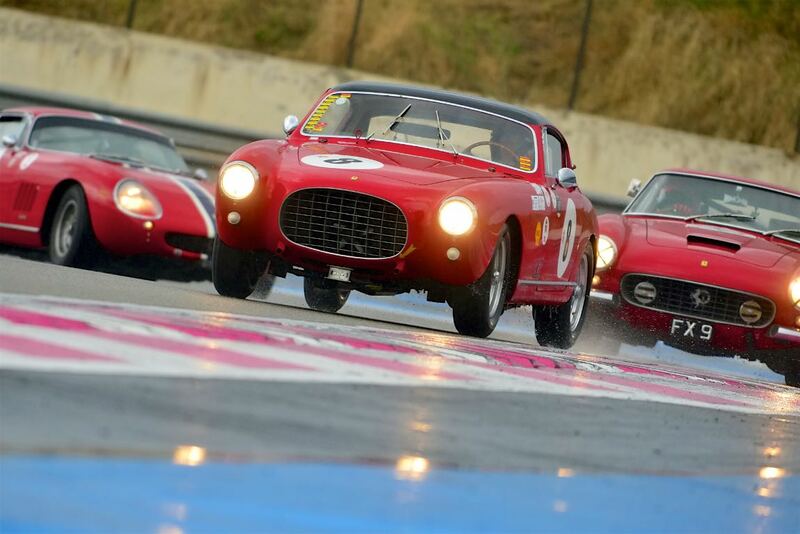 This added spice to practice and the opening races with several spins and wobbles on the 25-turn, 3.64-mile track near Marseille. 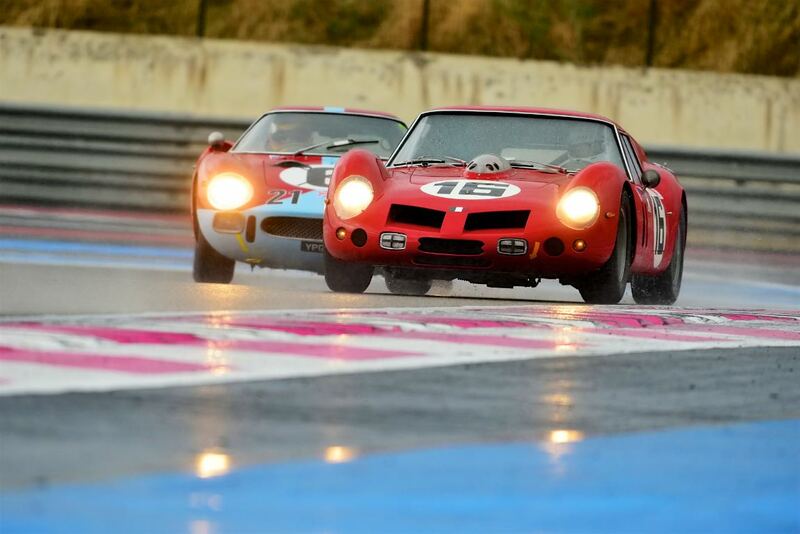 In the Classic Endurance Racing events there were no fewer than 88 entries including some exceptional machines like a Porsche 908, Alfa Romeo T33 and Ferrari 512 M. Among the drivers were several Le Mans 24-Hours winners, such as Gerard Larrousse, Jurgen Barth, Emanuele Pirro. 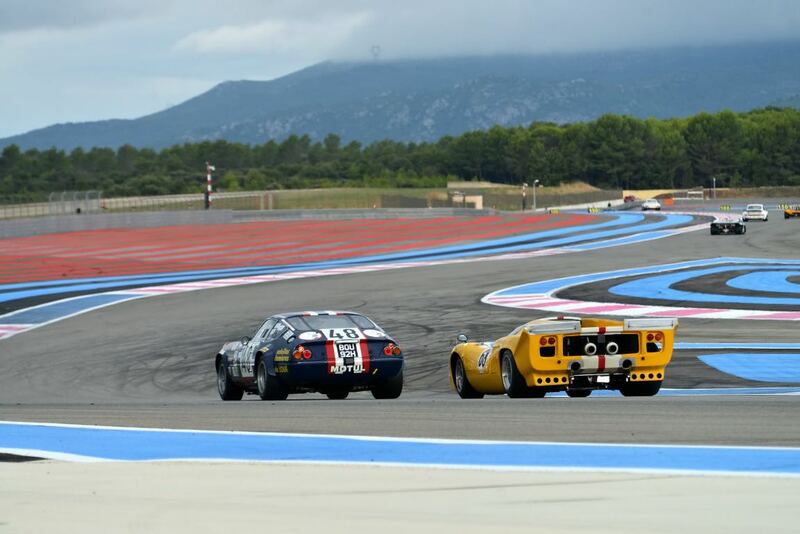 Endurance racing was also present in force with the Sixties’, the Trofeo Nastro Rosso and Group C Racing, three grids that included a large number of prototypes and grand touring cars retracing the history of this branch of motor sport over four decades. 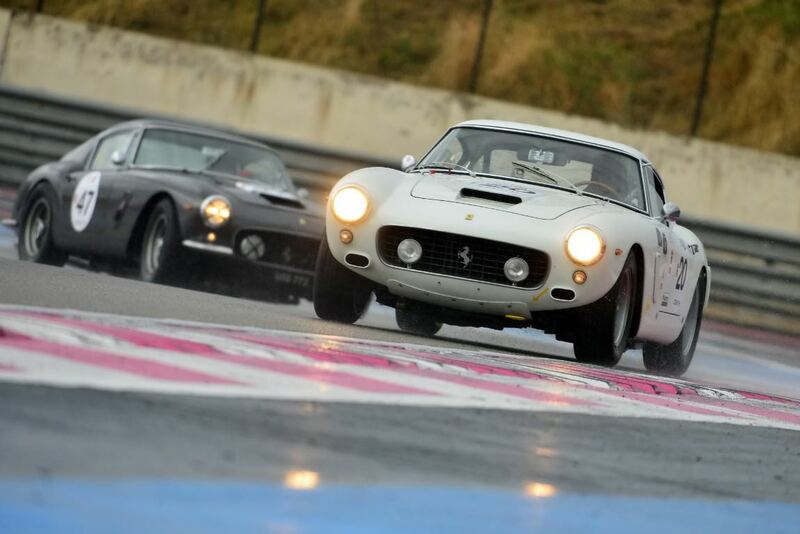 Notable examples included the pair of Ferrari 250 LM and Alfa Romeo TZ, Ferrari 250 GT SWB Berlinetta and ‘Breadvan’, OSCA S 1500 TN, Porsche 962 and Jaguar XJR14. Finally, saloons and coupes such as the BMW 3.0 CSL, Ford Capri and Rover Vitesse battled in the Heritage Touring Cup, while BMW 1800 Ti and Lotus Cortina entries were among participants in the Under 2-Litre Touring Car grid. 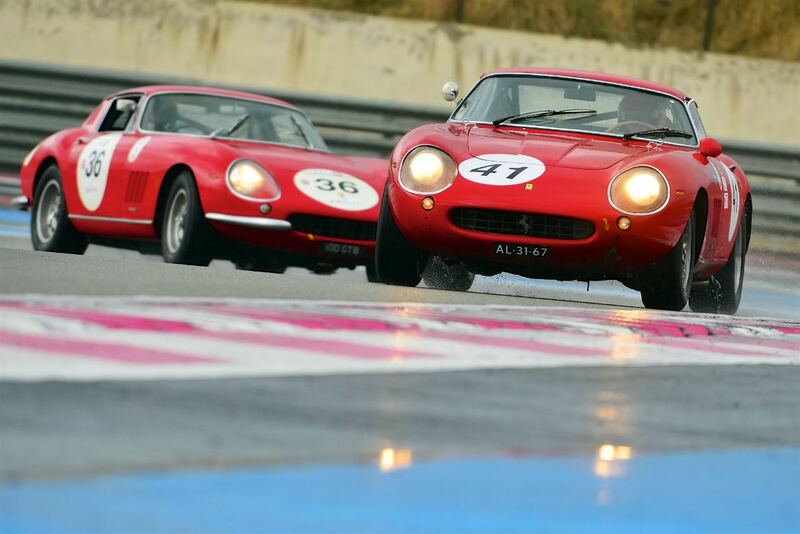 Similar to 2013 and 2014, Sports Car Digest also documented the Dix Mille Tours du Castellet 2015. 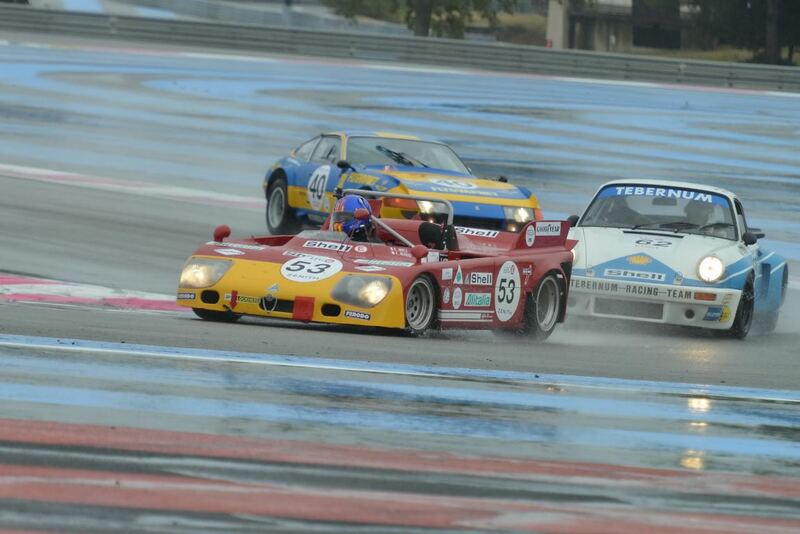 We split up pictures from the vintage races into two galleries. The first gallery starting below features our favorite images, all displayed in the full-width view, while the second gallery can be found on the last page of the article and gives a comprehensive view of all the photographs.